Iulian Dobre died of multi-drug resistant tuberculosis. He was 42 years old and was one of the few patients who openly spoke about this disease, which is considered shameful in Romania. In theory the disease is treatable. In our country, however, the reverse is true. This is his story. Article written for DoR magazine. Iulian was first diagnosed in 2007, at the age of 37, after his wife Gabi became worried when she noticed her husband coughing up blood, and took him to the family doctor. Prior to this incident, his wife had thought that the cough was caused by Iulian’s habit of smoking 1 or 2 packs of Viceroy Red a day, and that his weight loss was the result of stress. Iulian lived in the village of VulcanaPandele in Dambovita county, where he worked as a day laborer in construction and tended his livestock: a horse, a pig, chickens and turkeys. He also gave working abroad a try- as a mason in Spain and an agricultural picker in Greece. Resourceful in gaining money, he sometimes entered in tricky affairs with forest rangers and sold wood. Working outdoors showed on his leathery face, which had more wrinkles than those of other men his age. Iulian came from a family with eight children and had two of his own, a three-year-old girl, Miruna, who was in his and Gabi’s care, as well as an 18-year-old boy from his first marriage, who lived with his mother in the town of Târgoviște. When the doctor broke the news to him, Iulian thought of an acquaintance of his, who had already gone through the same thing. He knew he would be taken to a sanatorium, where the fresh air and injections would do him good. 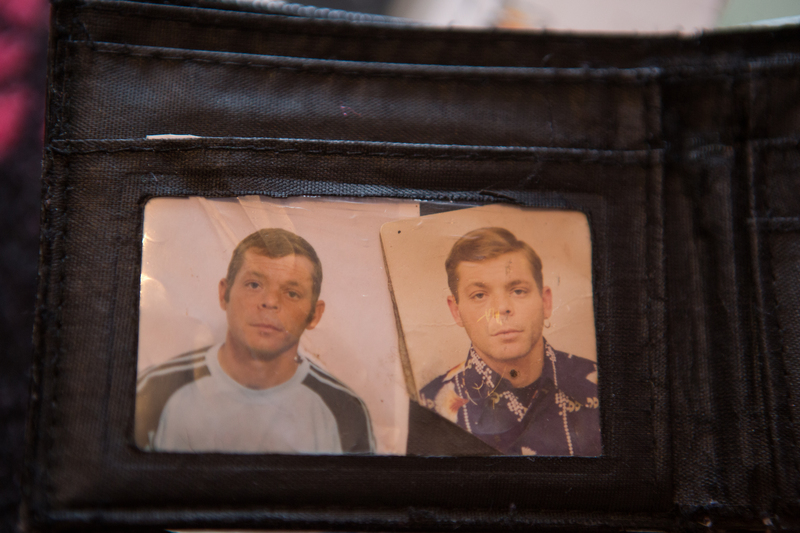 He went to check himself into the hospital thinking that in two months he would be able to return home, and that in six months, the normal course of treatment for regular TB, he would be cured. When he first caught sight of the hospital he began to feel nervous. From a distance it looked like a castle. Against the backdrop of a mountainous area at springtime, the winding road led to a tall building, like a tower, with two lower and longer buildings at its base, like open arms. It was the sanatorium near the village of Moroieni, which is located in the northern part of Dâmbovița County, at the foothills of The BucegiMountain. 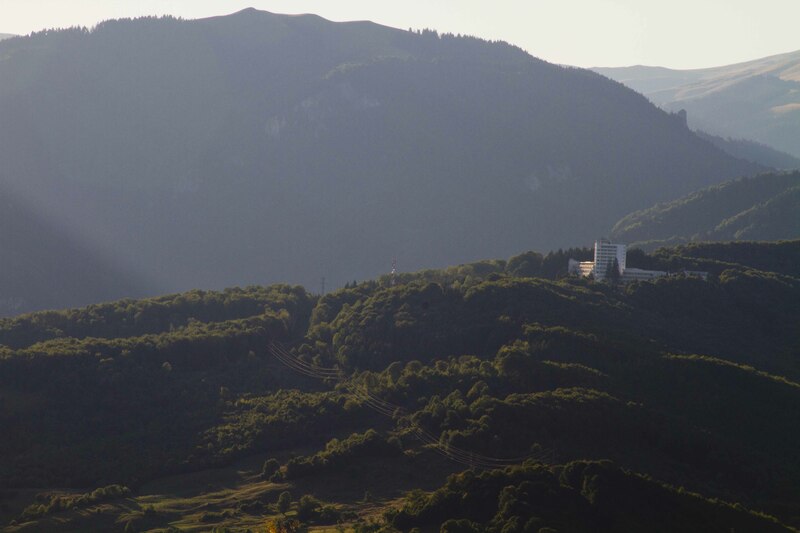 It had been built in the 30s for turbeculosis patients as a replica of a Swiss TB sanatorium. Iulian entered the hospitalwith his wife and mother. He was holding a bag which contained pajamas, a toothbrush, soap and some food. A physician examined him and the two women said goodbye. That evening Iulian cried. He felt lonely and everything had begun to weigh him down. “It will all be fine” an older patient in the ward told him. The next day they began to examine and treat both Iulian and his family. They took saliva and blood samples from Iulian, did X-rays of him and started him on pills. They also did TB skin tests on the members of his family. A substance that contains components of the TB bacterium is injected under the skin of the arm. If the area gets intensely red and swollen, it means that the person’s immune system has already been exposed to TB and recognizes it, so the cells gather up to fight the injected bacterium and deliver large quantities of limphocites there – which lead to the reddening of the area. Iulian’s wife was untouched by the disease, but Miruna had a red, swollen area on her arm, the size of a coin. The child’s result was positive, but like in 90 % of cases, she did not develop the disease. However, the doctor prescribed her prophylactic treatment. Iulian mostly spent the next three weeks in bed. When he went outside again, the weather was warm and the flowers had a fragrant smell. A month and a half into his treatment, he was allowed to spend Easter at home. He was no longer contagious. Two months later, Iulian finished his inpatient treatment and continued with outpatient treatment. In theory, this meant he was supposed to take pills under a doctor’s supervision at least three times a week. As clinics in rural areas are located far from where patients live, doctors provide patients with medicine that they are supposed to take at home, by themselves.Hence the treatment abandonment rate becomes very high. Between 2008 and 2012 The Romanian Red Cross and Romanian Angel Appeal (RAA) launched a pilot program financed through the Global Fund to fight AIDS, TB and Malaria (GFATM) – an international organisation that receives money from the governments of developed countries in order to aid the healthcare systems of developing countries. This program offered food stamps valued at 50 RON a month [about €13] to those people who followed through with their treatment. The abandonment rate fell to less than 10 percent. Since the pilot program ended, organisations that represent TB patients have lobbied the government to fund a similar program at the national level. Iulian received a monthly supply of drugs from his family doctor and had to take them by himself. He also had to rest. He did this for a month or two. He stayed indoors, where his wife took care of him. At the time, she was also doing odd jobs in the village, hoeing, gathering hay, helping around people’s homes. She got 240 RON [about €55] a month in social welfare and some help from relatives. They lived together in a small, one-room house which Iulian had built in the same yard where his mother-in-law, and his wife’s brother and cousin lived. Their daughter stayed with her grandmother because her parents were afraid she would somehow contract the disease even though the doctors had told them that Iulian would no longer be contagious if he followed his treatment. All three of them would have lunch together, but Gabi was careful not to let her daughter use the same cutlery and plates as her father. TB cannot be spread by sharing kitchenware but she wanted to make sure. Other than that, she was happy that her husband was not coughing anymore and the weight that he had gained “showed in the three layers of fat on his nape”. Tuberculosis is an airborne disease, spread especially in rooms with poor ventilation. It is for this reason that TB sanatoria were designed so that air could flow out through the windows. The doors were shorter, the walls had small holes, the windows could not be closed tightly, and in this way there was a constant air flow. The hospital wards were gradually renovated in order to make way formodern ventilation systems, which, for the most part, were never installed or are not working. It is extremely hard to contract TB outdoors, particularly when it is sunny – sunlight immediately destroys the bacterium. Even if it is acquired, TB becomes active in around 10% of people, especially in those with weak immune systems. Once active, its symptoms include coughing, fatigue and sometimes fever. As the disease „eats away” at the patients’ lungs, those who have been ill for several months start coughing up blood. Only then do most people see a doctor. TB is one of the oldest human diseases.It has even been traced back to groups of hunter-gatherers who lived in Africa 70,000 years ago, but it has started being understood quite recently with the help of modern medicine. At the end of the 19th century, the German researcher Robert Koch demonstrated that the disease is caused by a bacterium (mycobacterium tuberculosis) and it is not inherited, as it was believed at that time. Antibiotics to treat TB were only discovered at the end of the1940s. Before then, recovery depended on the body of each person – the stronger their immune system was, the higher their chances of getting cured. Thus only about 20% of the patients would completely recover. The bacteria adapted, however, and it became resistant to antibiotics. It is for this reason that today TB is divided into three categories: normal , multi-drug resistant (MDR – MDR-TB is resistant to two types of antibiotics) and XDR-TB (Extensively Drug Resistant)is resistant to four types of antibiotics). The first category can be treated in six months, and the cost for the treatment in Romania is between 80 and 200 Euros per patient and it is covered by the State. For the second category, treatment lasts for at least two years and it costs up to 200,000 Euros, which means that hospitals sometimes lack the necessary drugs to treat it. Being part of the third category is almost the equivalent of a death sentence in Romania. Worldwide, the WHO estimates that MDR-TB kills over 170,000 people every year, and a big, enduring problem is that only about 25% of those infected are diagnosed – those who are not will spread it to others and will have fewer chances of recovering as time goes by. As far as MDR-TB is concerned, Romania has one of the lowest treatment rates in the world. Full treatment should be free, but out of all the patients whose treatment cost is covered by the State the number of those who survive is pretty much the same as it was before antibiotics were invented. In Romania treatment fails in over 40% of cases. The failure rate is much higher than in any other European country, but also higher than in countries like Moldova (10%), Uzbekistan (14%), and Azerbaijan (22%). Before antibiotics were invented, rest and nutrituous food were the only treatment for tuberculosis. The people most affected by it were the poor,who did not have access to adequate nutrition; thus TB became known as the „disease of poverty”. A similar divide can be seen at the national level – rich countries treat their sick, they have fewer and fewer patients and they have been closing down sanatoriums. But this is not the case in poor countries. Initially, Romania followed the model of Western countries, and the number of TB patients decreased significantly during the communist era, especially under Gheorghe GheorghiuDej. According to Jonathan Stillo, an American medical anthropologist who has been studying TB in Romania since 2006, the reasons for this have to do with the discovery of certain antibiotics , as well as with the development of a significant infrastructure– almost 200 special TB clinics were built during that time. The communist elite considered TB a shame for the country. „Romania was one of the first countries where different combinations of antibiotics [for treating TB] were used. It contributed to the development of a standard TB treatment. It is a part of history which is nowadays less known [by Romanians]”. There was a boom in the number of TB patients after the Revolution. At the beginning of the 2000s, Romania had become one of the first three countries in Europe and Central Asia in terms of its TB incidence rate.. The World Health Organization increased its pressure on Romania, which had lost control of the situation. In 2002, the Ministry of Health applied to foreign funds for its National TB Prevention, Monitoring and Control Program. Since 2003, the program has mainly been funded through the Global Fund to Fight AIDS, Tuberculosis and Malaria. In every county, TB clinics were improved with new equipment, computers with special software were installed, which sent information to Bucharest for data centralisation. According to Constantin Marica, the former coordinator of the National TB Program, over 40 cars were bought, which transported drugs wherever it was necessary, particularly from TB clinics to family doctors. The number of newly infected patients started to decrease. But in 2012 this number was still higher than in 1989. 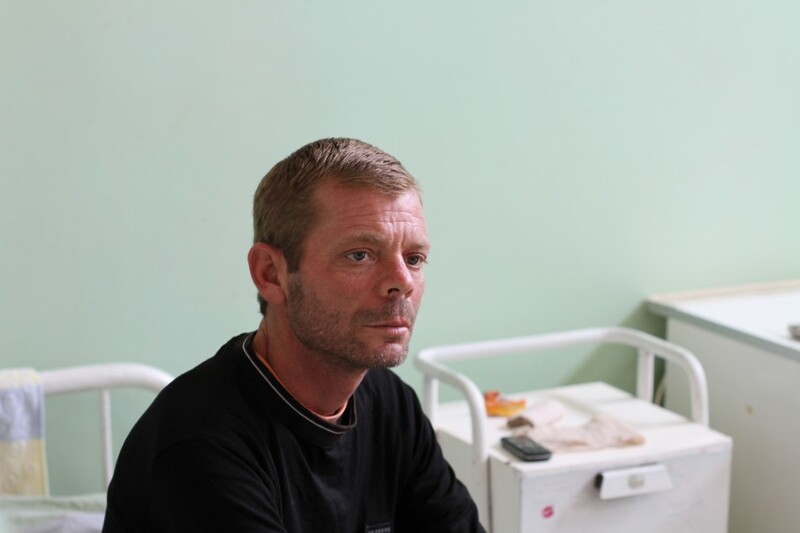 Iulian was diagnosed again with TB, three years after his recovery. But the diagnosis that he received in 2010 was MDR-TB, or multi-drug resistant TB. Iulian thought that it was his fault: he did not rest, as the doctor had prescribed on his release form, and started working again. However, he did not have any other choice – he had to support his family. He worked as a day labourer, with rain pouring on his back, he got sweaty, and drank a cold beer from time to time—all things that many incorrectly believe cause TB. His wife believes that the disease resurfaced after he began to neglect his first treatment for TB. She remembers that her husband had gained weight after the first months of continuous treatment. Then, one night, his friends from Targoviste came and took him to a party. Gabi brought him home after a few days, but her husband was now restless. His wife says that he went to work because he thought that a man was supposed to be the breadwinner, and not sit around being supported by his wife. He increasingly looked weaker again. Doctors say there are two possible scenarios for Iulian’s relapse. He either did not take his medicine consistently during all of the first six months of treatment, or he contracted the bacteria from another patient. In other countries, DNA testing would have provided the answer, but here it has remained a mystery. In Romania, just diagnosing resistant TB takes about 2-3 months – this is how much it takes for the Mycobacterium cultures to grow, which prove the presence or absence of TB – instead of a few hours (up to five days maximum), if modern equipment existed. Bucharest has a machine for automated diagnostic testing, but it keeps up with less than 10% of the patients, says Dr Constantin Marica. Iulian returned to the Moroieni sanatorium. To pass the time, he brought a small, old TV with him. 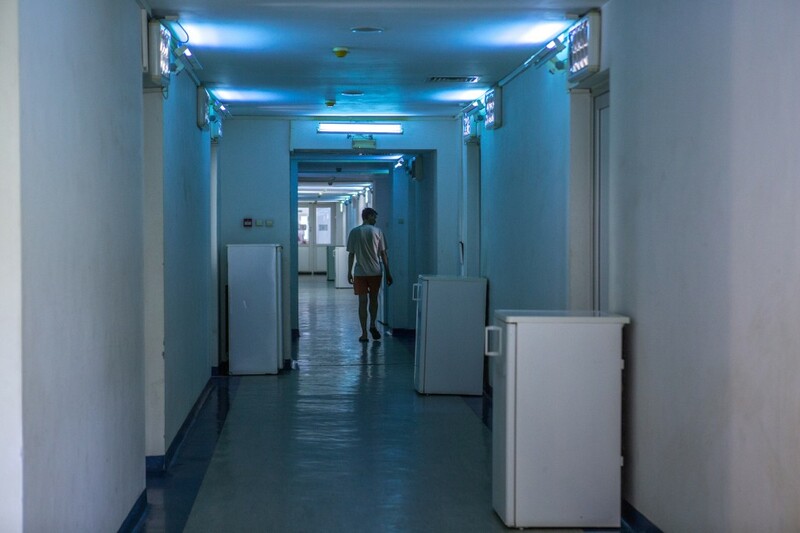 Unlike the first time he came to the hospital, he was taken to a higher floor reserved for patients with MDR-TB. Patients from his old floor would keep away from him, just like the people from his village would after his first stay in the hospital. People would say hello to him, but no one would invite him over to their home any more, he had remained the „TB guy” even though he was not infectious any more. Now, he was discriminated against at the hospital as well: „get away from here, you have germs, go upstairs to your ward”, some of the patients would shout at him. He felt that he was being treated the same way Roma people are treated by Romanians – he would often use this comparison. „This is the difference between the TB patient from downstairs and the one from upstairs”. The antibiotics were more difficult to deal with, as well. He was taking five antibiotics per day to treat TB, and other pills for their side effects. He was nauseous, dizzy and in pain every day. Many patients lose their hearing during the treatment. Others suffer hallucinations and cannot continue without psychological support. The treatment is so difficult to deal with and the support for patients so limited – there are only three psychologists assigned for TB patients in all the hospitals in the country – that many give up the treatment even though doing so would be fatal for them. Iulian would take his medicine and suffer because of it, but the hardest thing for him was mostly being away from his family. When it rained and the weather got colder, he would look out the window and wonder if his wife had enough wood. He would not ask her because he knew she would not tell him that she was having difficulties, just like he would not tell her how much he was suffering in the hospital. His wife would find out more from Eugenia Scorbura, Iulian’s doctor, and from other patients. Scorbura would encourage her and tell her that Iulian was a compliant patient who would eventually get better. Patients would describe a more familiar facet of Iulian to his wife: „the crazy guy” who spoke loudly, snapped at people, danced, joked around, and threatened others. A short-tempered man, who was nevertheless polite with women, particularly with his female doctor. His temper was also influenced by the years spent in prison for stealing wood. 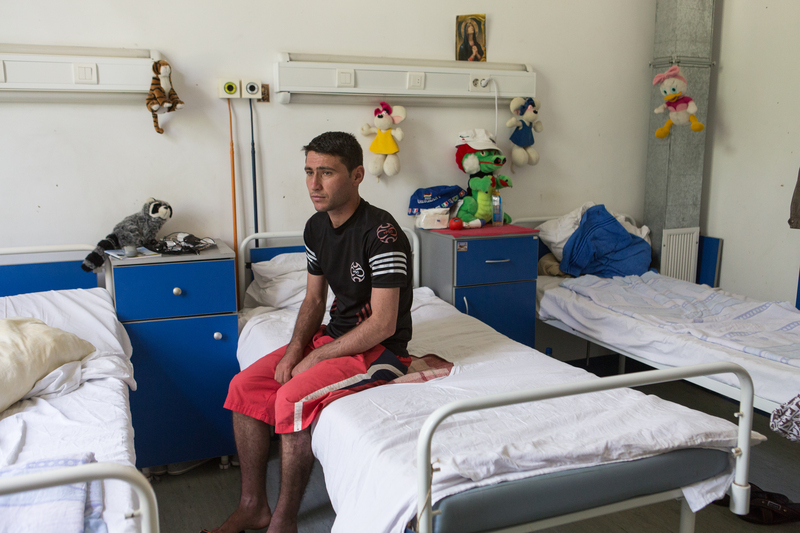 For Iulian, the days spent in the hospital, like the ones he had spent in prison, were all alike. He would wake up early in the morning, make the bed and sometimes cross himself in front of the little icon in his room. He would then go to the bathroom, where he would brush his teeth, wash his face and his armpits, and change in his day clothes. He would make himself a cup of tea and go out on the balcony where he would wait for breakfast to be served at 9 o’clock. He would talk to the others. After breakfast, he would receive his pills and his injections. He would spend the rest of the day watching TV, except for two meal breaks. He would zap through the channels, looking for westerns, his favourite, because they reminded him of his childhood. His father had raised horses. All of his family loved horses. The costs elicited by the disease and the inadequacy of social services are among the serious problems that confront patients with TB. The psychologist Cătălina Constantin has been interested in these issues ever since she was in college. When she talks about it, she does so in a soft, almost whispery, tone of voice, as if she were trying to keep her interlocutor attentive to what she is saying. The research for her B.A. paper focused on the way the disease affects not only the patient but their entire family, as well. Most of the patients are men, which means that their household income decreases significantly once they are checked into the hospital. The treatment takes six months in the case of regular TB, with the State offering/guaranteeing paid sick-leave, but things are more complicated if the patient works illegally or is unemployed. The household expenses increase because not all the drugs that are prescribed (such as those necessary to ease a patient’s symptoms and minimise adverse reactions) in addition to the TB treatment are free. After graduating, Constantin worked as a nurse at the “Marius Nasta” National Institute of Pulmonology, and in her spare time she was a Red Cross volunteer counseling TB patients living in Sector 5 in Bucharest. She says that she felt angry and helpless when she saw that the State could have provided significant aid to the patients, but it would not do so. It is for this reason that in 2011 she and two former patients founded the Association to Support Patients with MDR-TB. They provide patients with psychological counseling and legal support (so that patients have access to social welfare benefits), and try to do advocacy for them/ promote their rights. Constantin chose to create this association for MDR-TB patients because they suffer the most. Firstly,they do not receive paid sick-leave throughout the whole duration of their treatment. Some of them may receive disability benefits, but in order to obtain them, one has to be in a very difficult situation, Constantin explains. This may mean functioning at 40% of one’s normal lung capacity, or developing a disability as a result of the many side effects that the drugs have. For example, many patients lose their hearing. The disability benefits vary between 150 and 180 lei per month (about €40), to which are added various deductions for transport and medicine, and sometimes money for one person accompanying the patient. Another option would be an invalidity pension, which is solely given throughout the duration of the treatment and amounts to a minimum of 350 lei. The third option through which one can receive aid is by applying to the social services attached to each Mayor’s Office/ town hall– in this case patients receive about 150 lei per month and they must face a lot of bureaucracy. Furthermore, patients need psychological support because it is much more difficult to deal with the side effects of the antibiotics than with the disease itself. They cause terrible pains, some patients vomit, others have hallucinations. Constantin says that she has a patient who, after taking his treatment, puts the blanket over his head for fear that the building might collapse on him. Another patient, who lived on the sixth floor, would see a road through her window that she wanted to follow. Almost all of them complain of pain in their entire bodies. „It’s very difficult to motivate a patient whose agony is such that they keep their head lodged between their knees/ who curls up in agony, when the pain could disappear if they simply stop taking the tablets” says Constantin. „And you have to motivate the patient to take the tablets next day as well, and the one after that, and so on for two years”. In Romania, there are currently 3 psychologists for 30,000 TB patients. One works at the Bisericani hospital in Neamț County, one at the “Marius Nasta” Institute in Bucharest, and one works part-time at the Brad sanatorium in Hunedoara County. Iulian used to receive social welfare benefits consisting of 240 lei [about €55] per month from the local council, for him, his two children and his wife. He received a retirement certificate from the hospital, but his application for a pension got rejected by the National House of Pensions because he had not worked for enough time (meanwhile, the law has changed and there is now a minimum allowance/pension even for people who do not fulfill this condition). All he was left with was social welfare and Miruna’s child benefit of 40 lei (less than 10 euro). After leaving the Moroieni sanatorium, Iulian worked as a welder at a garage in Târgoviște, where he cut the bodies of cars. The blowtorch would hiss upon contact with the metal and fill the his lungs with dust. He could not continue his treatment as he should have, because the drugs would have rendered him incapable of working. It did not take long for his health to deteriorate. He soaked his sheets and pillow with sweat. One day, his wife was curious if she could wring sweat from her husband’s t-shirt. She twisted the cloth and drops of sweat fell on the floor. “You got sick again”, she told Iulian and convinced him to go back to the Moroieni sanatorium. He went back, but could not get the treatment he needed as the hospital and local clinic were lacking it. The missing medicine was a fluoroquinolone antibiotic, one of the most powerful medicines used against MDR-TB. The absence of this medicine could cause patients to develop XDR-TB, an even more resistant form of TB and the most dangerous. 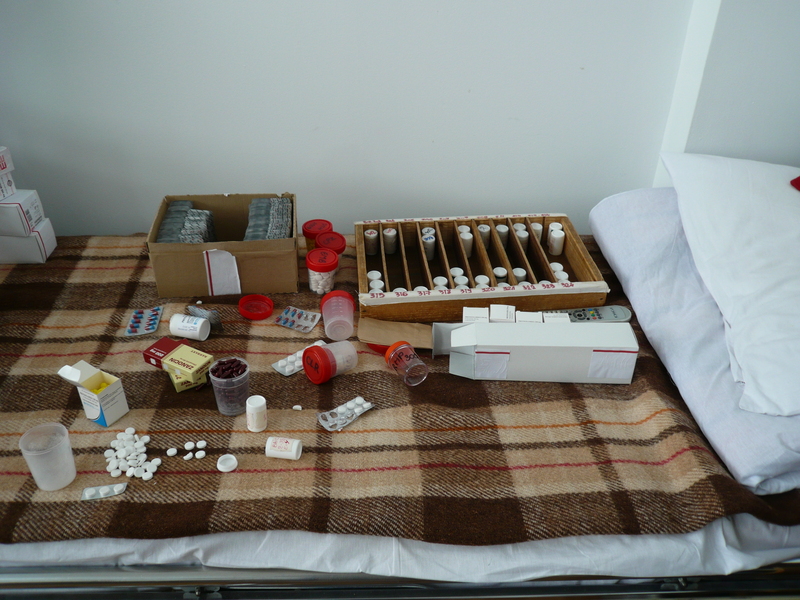 Important drugs for MDR-TB are sometimes missing from Romanian hospitals. This is an old problem – it appeared with the disease and it has not yet been solved. The situation worsened during Eugen Nicolaescu’s term as Minister of Health (2005-2008) when the acquisition of drugs was decentralised. Prior to his term, drugs had been purchased by the “Marius Nasta” Institute, which coordinates the National TB Program, and subsequently sent to hospitals in each county. After the decentralisation of the system, each hospital would make its own calculations, bid and buy.As a result, costs increased, efficiency decreased and drug stock-outs continued to appear. At the end of 2013, the centralised model was partially re-enforced at the insistence of coordinators from the “Marius Nasta” Institute, and when the audits of the new model showed the problems of centralised acquisition. Now, the drug tender is held in Bucharest, but hospitals still receive only what they ask, according to their own calculations. The last drug tender was initiated in 2012 and it was supposed to cover the next two years, but it was not completed until 2014. The bureaucratic tangle/ bureaucratic entanglements practically delayed the end of the auction by exactly the same period of time that the drugs were supposed to cover. Even after the auction was finally organised, necessary drugs for treating resistant TB could not be bought. Some of them were never included on the auction lists. Others were included, but in other concentrations, and the strict guidelines for the auction prevented them from being bought. The most important drug that is missing is the injectable antibiotic Amikacin. The Ministry of Health ordered it in a 1000 mg concentration, but the pharmaceutical company offered i a 500 mg concentration. The Ministry refused it although it could have been used equally well in both concentrations, says Dr Gilda Popescu, who is the National TB Program coordinator. At the moment, there are still drugs in stock at the national level, but the situation is on the razor’s edge because the Ministry has not yet replied to the solutions proposed by those coordinating the acquisitions, so that the drug can be obtained. On the other hand, even if an auction were to be organised tomorrow, there would still not be enough money to pay for all the necessary drugs. The acquisition of drugs has always been an “obstacle course,” says Popescu. But even if legislative problems can be sorted, the lack of money is like a concrete wall. Due to the absence of antibiotics from their overall treatment, only 15% of the MDR-TB patients treated through the State-managed program survive. 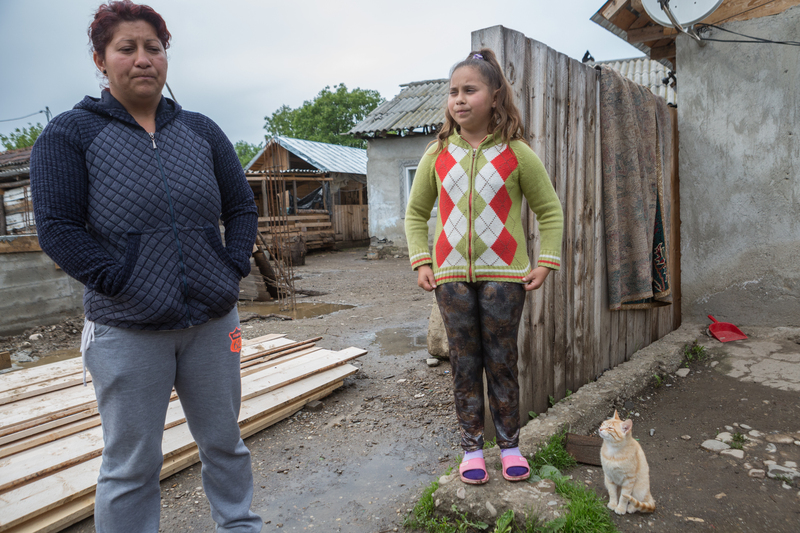 Compared to them, 67% of the Romanian patients treated through international funds get cured of resistant TB. He takes 20 antibiotic pills a day and follows his treatment “so that I know in my heart that I did everything I could”. He was diagnosed in 1998, the disease relapsed in 2012 in a resistant form and got treated at Topoloveni, where Amikacin was missing. He regrets not having been guided to the “Marius Nasta” Institute in 2012, before developing XDR-TB. In 2002, a Global Fund was created at the initiative of the UN. It is primarily financed by wealthy governments, with the US at the top of the list of donor countries. Romania started receiving significant sums of money. Beginning with 2007, money offered through the Global Fund (12 million Euros so far), have been managed by the Romanian Angel Appeal Foundation. The great advantage of the program is that drugs can be bought at much lower prices than those obtained by the Romanian state. This is because they are bought from just one seller, an international organisation specifically established for this purpose: The Global Drug Facility of the WHO. At her office at RAA, Silvia Asandi, who has been the organisation’s coordinator for 14 years, has piles of papers related to TB in front of her. „These are MDR-TB medicine prescribed by WHO”, she says and points to acquisition charts. There are nine antibiotics on the list. „There are only three bidders at the national auction (…) This antibiotic was missing, this one was missing, this one was missing”. „The final price paid by the State is this one, and we paid this price through the GDF”, she says moving her finger from one column to the other.The price paid/obtained by the NGO is half the one paid by the State. Although many other States buy drugs directly from the GDF, Romania is prevented to do so by the law of acquisitions. This law stipulates that drugs must be bought after a tender has been organised and paid after their delivery, while with the GDF money must be paid beforehand. Paradoxically, the law was created so that the State would spend money securely and efficiently, but it is precisely this which the law is preventing it from doing. 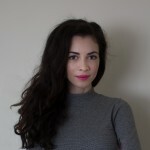 „We have kept trying to convince the State to grant a derogation from the law of acquisitions” says Asandi “and they have also received technical support from the WHO (…) This option is the surest and most readily available one, there are over 80 countries accessing the Global Drug Facility”. The medicine is cheaper and in greater quantity, and there are no interruptions of patients’ treatment. This explains the difference in patients’ recovery rates – 15% through the program financed by the State and 67% through the program financed by the Global Fund, which is conducted at the “Marius Nasta” Institute in Bucharest and the Bisericani Hospital in Neamț County. Almost 800 patients have been included in the program in the last six years, and each of them, at both hospitals, has been prescribed a two-year treatment. The number is small compared to how many MDR-TB patients there are in Romania (it is estimated that this total of 1,500 patients has remained constant– the incidence rate is approximately equal to the mortality rate). In order for the patient to be admitted in the program, their chart is assessed by a committee consisting of doctors from the “Marius Nasta” Institute. They check the patient’s medical history, their age, the stage of their disease and they estimate the chances of them recovering through the program. If their chances are great, then they are admitted. If the patient is already old and the disease has already eaten away at almost their entire lungs, they are rejected. Iulian was admitted to the program in 2011. That same year he became known around the world through the work of American anthropologist Jonathan Stillo. Stillo met Iulian while he was doing research on TB in Romania. He would go to sanatoria and interview hundreds of patients. He conducted 230 interviews at Moroieni sanatorium alone. A medical anthropologist is interested in all aspects of a disease, ranging from the impact that it has on the patient to its social dimension and the way in which the heath system works. He says that Iulian drew his attention because he was curious about his disease, about the way it was successfully treated abroad and what the social benefits there were. Only the welfare of his family seemed to interest him more than his disease. Moreover, Iulian was the first patient who agreed that his real name be used and that he be photographed, and who opened himself up to the 35-year-old anthropologist. Stillo saw how the rest of the patients were ashamed of their disease, first of all, because TB is associated with poverty, alcoholism and a chaotic life, and secondly, because of other people’s fear of being contaminated, which made them avoid “the TB guys”. The patients Stillo was interviewing would look at him as if he were an alien when he sat next to them without a mask on. Stillo took most of his interviews outside in the sunlight. As Iulian was open about his disease, and the anthropologist was trying to make the situation of Romanian patients public abroad, he conducted interviews with Iulian, which were subsequently published in WHO brochures and in journals that provided information about TB. He wanted both to inform the general public and to counter the preconception that patients are solely to blame for their situation. In 2006, Jonathan Stillo had the idea of coming to Romania to research TB. He was a doctoral student at the City University of New York and knew that the rate of TB in this European country, which he had only visited once with one of his professors, is extremely high compared even to poorer countries. He contacted the Romanian authorities in order to prepare his research. “I was told that tuberculosis is a state secret and that I am not welcome”, recalls Stillo. He eventually succeeded in getting a positive response, so he applied for a Fulbright and came to Romania in 2009 on an 18-month-long research grant. He expected the high number of patients and deaths to be contingent on poverty, but he realised that this was not the case. Even middle class patients developed MDR TB and contributed to the huge number of people that the Romanian health system failed to (properly) treat. Many middle class patients, however, went abroad for treatment and recovered. Doctors were not the problem either. Quite the contrary. 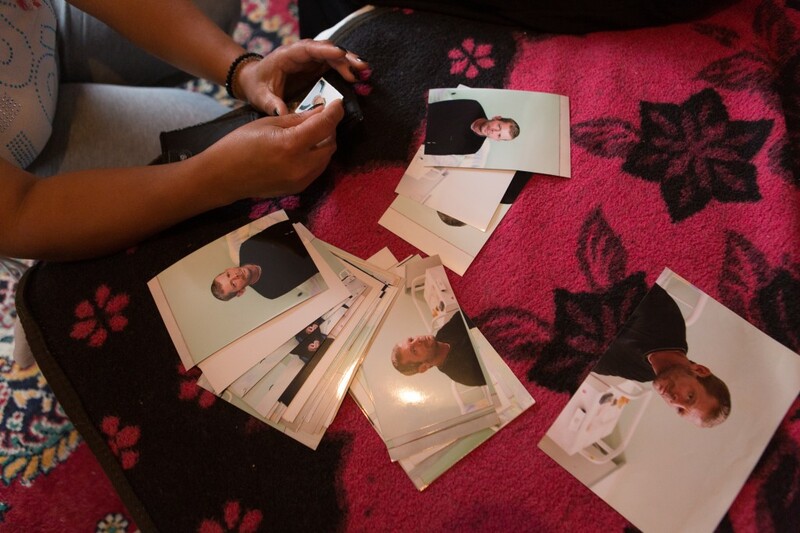 As Stillo gradually discovered the Romanian health system, he saw that TB doctors were not bribe takers as other doctors were and he never heard of any of them asking for money from patients.The problem was the lack of funds. The money invested by the Romanian state to tackle the TB issue was significantly below the necessary amount. Stillo thought the explanation for this situation lay in the fact that the political elite were not aware of the seriousness of the TB problem in Romania, so he began doing advocacy. Since he was an American researcher, he had access to decision-makers, and seized every opportunity to present (to them) the high stakes that this problem involved. Stillo used to alternate between Romania and New York. In 2011 he applied for a grant from the U.S. Department of State, so he could do a follow-up on the condition of the MDR patients he had met in the previous two years. He received the grant, but upon returning to Romania he was shocked. Most of them had died and those who had survived to that point were also dying, as their disease had become even more resistant. That was the moment when he decided to become an activist for the Romanian TB patients. In 2012 he arranged for the visit of Elizabeth Gitenstein, the wife of the then American ambassador, to the Moroieni sanatorium. He wished to show her first hand what he had already told her – that the doctors are dedicated to what they do, that the patients are heartrending, but that what is missing from the health system is money. After everyone had been introduced, a nurse told Stillo that Iulian wanted to speak to him. They had not seen each other in almost a year. The anthropologist was heading for Iulian’s ward when the nurse stopped him and told him that his condition was worse, that his disease was even more resistant. She then started to cry, and Jonathan entered the ward. Iulian was smiling, but looked very weak. Jonathan tried to convince him to go to the Bucharest sanatorium, where he still had a chance of getting cured. Iulian had refused to get treated there in 2011, when he had been accepted in the program. He did not want to be away from his family for six months, as the entire treatment took. Iulian now refused again for the same reason. In October 2012, the Prime Minister Victor Ponta and the Minister of Health Vasile Cepoi, met with the WHO director for the European Region Suzsanna Jakab, and the European Commissioner for Public Health John Dalli at Victoria Palace (in Bucharest), to decide upon a four-year plan which would address the Romanian MDR problem. During the press conference they announced that 23 million Euros would be allocated in the following four years for the fight against multi-drug resistant TB in Romania . According to Romanian Angel Appeal, this amount was four times smaller than the one WHO had recommended. Even so, it would have been much larger than Romania had ever allocated against this disease. In 2014, the money has not yet been allocated. The only action taken so far has been to establish a budget for all types of TB, including MDR. The sum that has been decided for 2014 is 3,5 million Euros – only half of the budget established in 2012 just for multi-drug resistant TB. In May 2012, six months before the meeting between the Romanian Prime Minister and the WHO and European Commission delegates, Gabi, Iulian’s wife received a phone call from the hospital. She was informed that Iulian was on oxygen support because his lungs were very weak. When she heard the news, she thought that her husband was dying. The same had happened with her father who had recently died of lung cancer. Gabi asked the doctors to allow her husband to come home. She wished to make him happy, so she told him she would take him to Târgoviște, where all his family was expecting him. Iulian, who had raised his brothers, liked to be surrounded by family. “Can you see how much weight I have lost?” Iulian asked her. “Don’t worry, you will gain it back” Gabi comforted him. Iulian asked his wife to take the television set and the food from the fridge. With Iulian sitting in the wheelchair, they headed towards the exit. “I miss my girl so much” he said to his wife thinking of Miruna, who was waiting for him at home. In the grove near the exit of the sanatorium Iulian died. 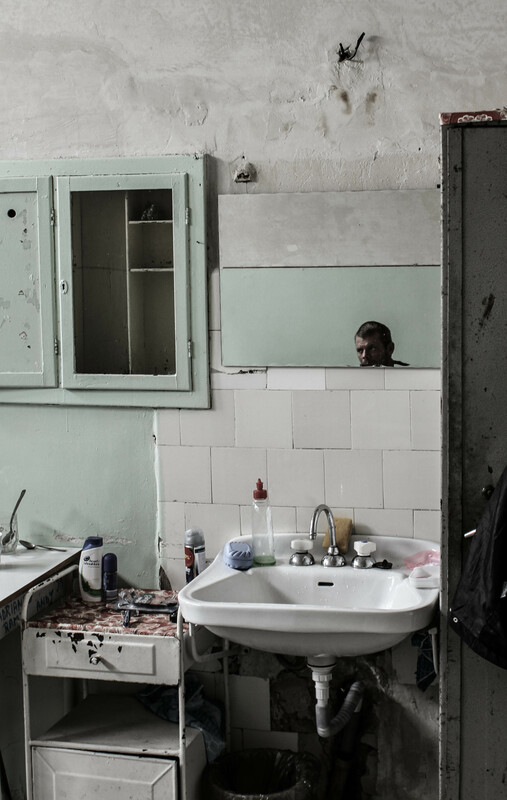 Now, in 2014, Iulian’s wife lives with her daughter, who is now 7, in the single room she built with Iulian. She replaced the bed because it had rotted away from the moisture in the house, and she filled the holes in the ceiling through which rain seeped. In this room that smells clean they have a bed, a stove, a small table, a chair and the television set that Iulian had in the hospital. They no longer have the horse. Iulian sold it just before he died. Gabi didn’t remarry because she herself lived with a stepfather and she was not happy. Her brother is supporting them. They also get some money from the American anthropologist. This is how they managed to renovate the house. Thanks to Jonathan Stillo who provided interviews with Iulian Dobre and made possible the reconstruction of his story. Silent indeed. Because people don’t speak about it. Only this way things could improve, sharing problems and experiences.